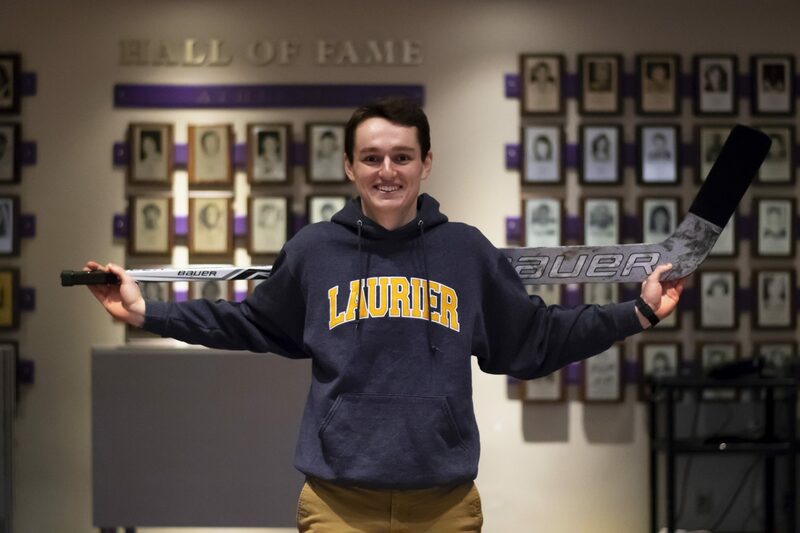 When Wilfrid Laurier University’s men’s hockey team lost both of their veteran goalies over the past summer, the responsibility of tending the twine was thrust upon two rookies. In game one of the 2018-19 season, one of those two rookie goalies, Jacob Standen, was hurt after just eight minutes of play with a season-ending injury. That left fellow rookie, Tyler Fassl, as the sole bearer of the workload in net. The Golden Hawks had one of the most experienced tandems in net last season, with Chris Festarini and Colin Furlong having a combined 149 OHL games and 95 OUA games on their resumes. It was always going to be tough for Laurier to make up for the veteran presence at goalie that they were losing, but Fassl has done a formidable job in the role so far. As the playoffs approach, new challenges are set to emerge for the rookie varsity athlete. Fassl will undoubtedly look back on his childhood dreams in hockey as extra motivation to push through the difficulties at hand. Fassl, who spent the last two seasons playing Junior A for the Toronto Patriots in the OJHL, has posted a .918 save percentage and 2.50 goals against average in 19 contests this year. That is good enough for the eleventh and twelfth overall ranking respectively amongst OUA goalies. The transition from Junior A to the university circuit can often times be difficult for players, as they go from matching up against mostly 18 and 19-year-olds to some teams in the OUA dressing players in their mid-20s. Despite the success so far this season, Fassl isn’t just content with holding steady the rest of the way. As Laurier enters the final few weeks of the regular season tied for fifth in a tight OUA West conference, Fassl has a clear focus on the task at hand.